Anna Flowerday says ‘cool’ a lot. Not ‘cool’ as in climate – though her journey from fifth-generation Shiraz-swilling McLaren Vale lass to South Island NZ is a big part of the story. Nor ‘cool’ meaning on-trend – in fact some of the best moves she’s made run counter to fashion (and received wisdom). No, just cool in that simple, spontaneous way that says you’re going to dig it, whatever happens. Example: it’s “pretty cool” that’s she gets to do a job she utterly loves with her husband. 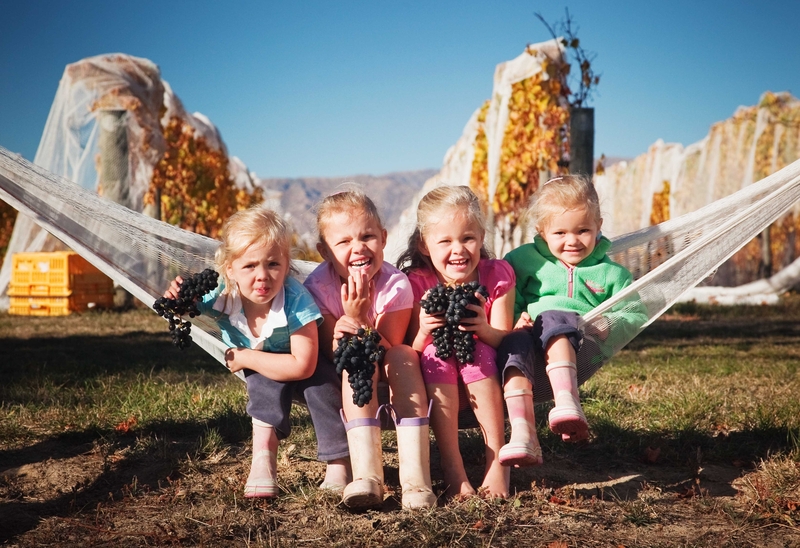 The fact that Marlborough Pinot is underrated isn’t an injustice; it’s a “cool opportunity”. And it’s “a cool thing” that her two sets of twin girls get to see her excel in a role once seen as the domain of men. “I’m very conscious of being a mother of four daughters and I want them to think they can do anything,” she says. This positivity shimmers through Anna’s perspective on Marlborough, where she and husband Jason have been running the Te Whare Ra* (TWR) winery for the past decade. When we catch up over coffee in Melbourne, I ask whether the region’s runaway success with Sauvignon Blanc has been a blessing or a curse. 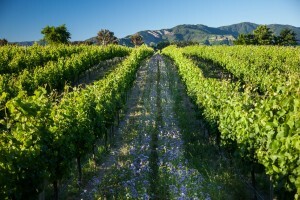 She concedes it’s a double-edged sword, with “savvy” stealing the limelight – and the vineyard area – from other varieties, and leading some to write off Marlborough as a one-trick pony. She was at Hardys for seven years all up, working in a positive, collaborative culture that encouraged speaking up and trying things out. 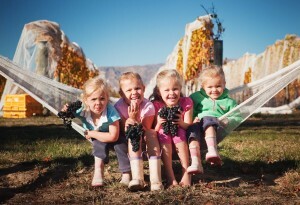 “If you look at the Hardys kindergarten and who’s come out of it – Stephen Pannell and KT (Kerri Thompson) were slightly older than me and then there was Larry Cherubino, Rob Mann, Sue Bell – a lot of young winemakers who are now in the upper echelon in Australia. Those really were the glory days,” she says. Now, with older vines and better farming practices, the complexity has come of its own accord and TWR’s Pinot has won ardent fans. Thanks to greater care and investment across the region – and the annual Pinot Bootcamp where winemakers gather to compare notes on trial wines – Anna views Marlborough as the sleeping giant of Kiwi Pinot. “There’s a really strong line-up that I’d happily stand by and defend to all comers,” she says. 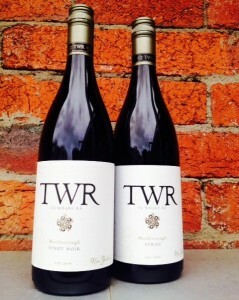 And if you find your TWR wine seamlessly drinkable, then that might just be the taste of marital harmony. Anna says she and Jason make better wines together than they ever did in their individual careers. 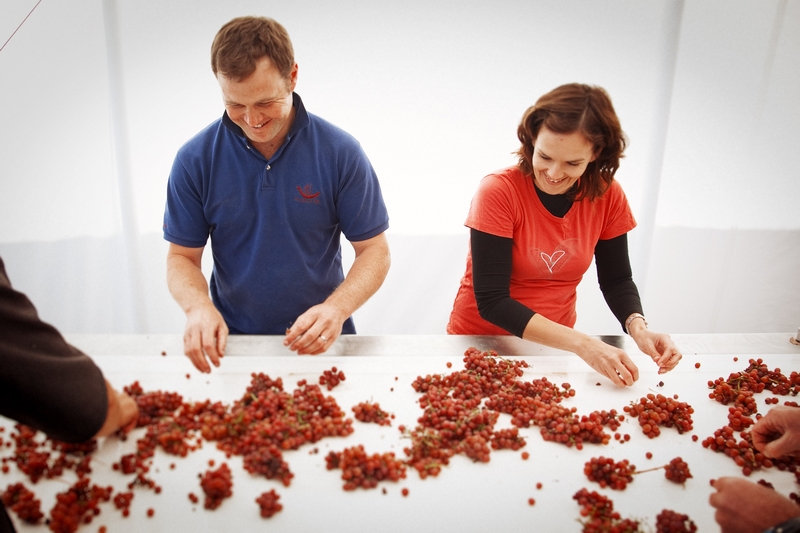 “Some of the best wines I’ve ever had were made by more than one person, because you’re not infallible and different people are sensitive to different things.” Anna and Jason agree 95% of the time – with the vexed question of when to pick being the source of most of their domestics. *A version of this article appeared on the CellarHand website. CellarHand is both the author’s employer and the distributor of TWR’s wines in Victoria and NSW.